Glue Dots-Tape Runner: Permanent. 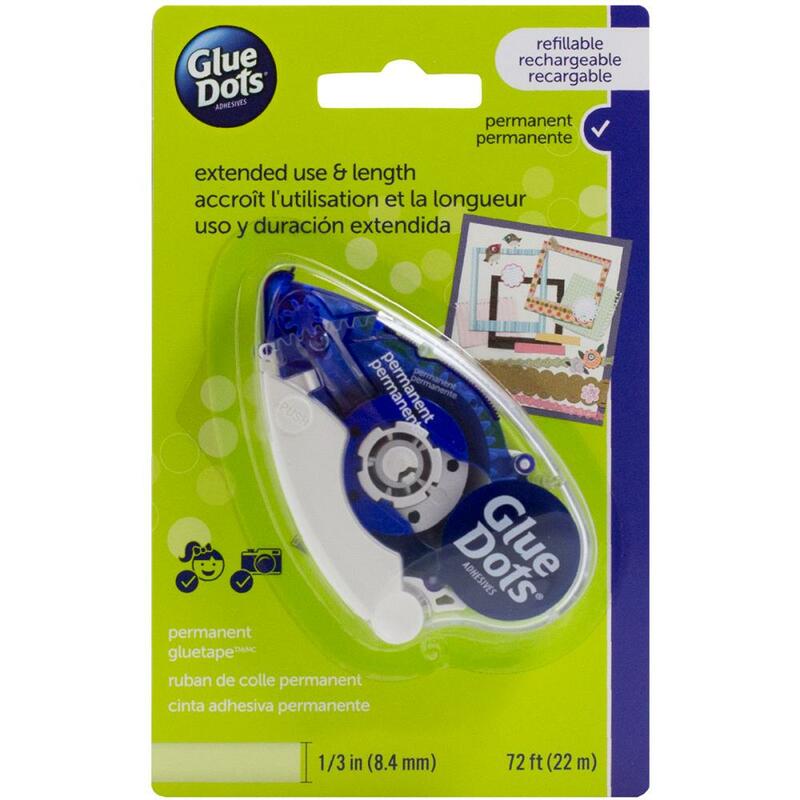 This compact, ready-to-stick adhesive runner is perfect for home and office permanent uses! This package contains one tape runner with 72 feet of .33 inch wide tape. Non-toxic. Acid free. Conforms to ASTM D 4236. Made in USA.